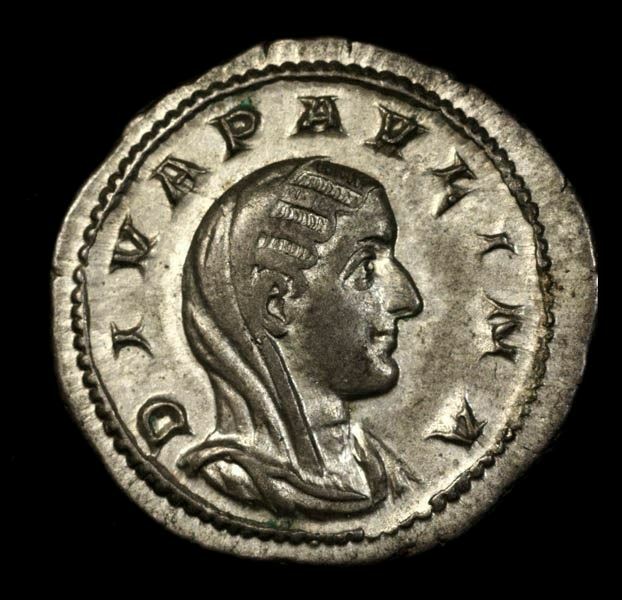 Caecilia Paulina was a Roman Empress and consort to Emperor Maximinus Thrax, who ruled in 235–238. Almost nothing is known about her life, as ancient writers rarely mentioned her by name. Her husband never set foot in Rome, thus it is likely that neither did she, at least in her time married to the Emperor. Paulina had one son, Gaius Julius Verus Maximus, appointed Caesar in 236 by his father, but both men were murdered by the soldiers in May 238. Paulina probably died around late 235 or early 236, as Maximus had her deified in 236.